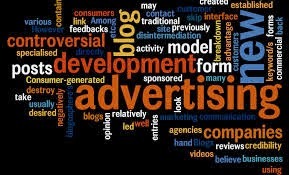 Advertising is comes under the marketing mix’s promotional techniques. Promotion is the mix of various communication activities which tourist firms or national tourist organizations carry out with a view to motivate or influence those target customers on whom their product sale depends. It is however, not only the target customers who need to be influenced by the various promotional techniques, there is the need to influence intermediaries like retail agents and suppliers as well as opinion leaders like journalists, travel writers etc. however, the primary target for promotion is the target markets, group of current and potential customers. Tourist enterprises use different method of communication to achieve their objectives. Those are Advertising, press or public relations, Sales promotions, publicity. So advertising plays the major role of that. We live in a marketing and media- driven world and much of this advertising markets leisure, travel and product and services. In fact, any organization involved in the leisure and tourism businesses or other businesses from local arts centers, museums, sports clubs and small hotels to the largest theme parks, airlines and cruise companies will be interested in one form or another. Advertising bombards us every day from commercials on television and radio, to advertising on buses and billboards, in magazines and on the Internet. ADVERTISING is mass media content intended to persuade audiences of readers, viewers or listeners to take action on products, services and ideas. The idea is to drive consumer behavior in a particular way in regard to a product, service or concept. Advertising operates in two ways: firstly, by spreading information among consumers, about the possibilities of consumption, and secondly, by seeking to influence their judgment in favor of the particular goods which are the subject of the advertisement. Use of certain paid media is however a prerequisite. It can also be defined as a “paid public message design to describe or praise a product.” Unless a communication has as its purpose a sale of a product or service, it is not properly considered to be advertising. e.g. -: the publication of a message in a newspaper by a philanthropic organization soliciting funds is not an advertisement activity. It is only a public announcement as there is no sale of a product involved. Wider coverage – advertising is especially appropriate for communication with a large number of perspective purchasers of a commodity or a service. A uniform sales message is directed towards all perspective purchasers. An advertisement can be placed before a large number of prospective customers as compared with the efforts of a salesman. Frequent appeal – it can make its appeal frequently, whereas the calls of salesman are usually not so frequent. Accessibility – it may reach prospects whom salesman would find difficult to interview, owing to lack interest or inaccessibility to salesman. Advertisement may reach such prospects through many types of media and under a verity of circumstances, and may thus attract their attention and arouse their interest. Lowe cost – large numbers can be reached economically, i.e., at a lower cost per contact than in any other technique available.